Sports Open Day on Saturday 22 September showcased the best of Berkhamsted’s lacrosse, rugby, football and netball in front of prospective pupils and their parents. The U18s Lacrosse teams lifted their first trophies of the 2018/19 season at the County Championships. 35 matches took place at Chesham Road with Berkhamsted’s 1st and 2nd teams winning their respective tournaments while the 3rd XII reached the final. 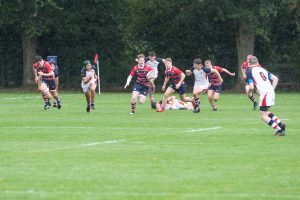 Dubbed ‘Super Saturday’ Sports Open Day then featured a block of U16 rugby fixtures against strong opponents King’s College School Wimbledon. 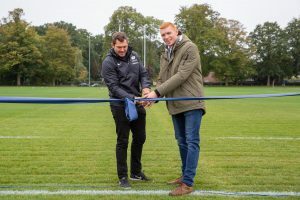 The showpiece 1st XV fixture took place on the new immaculate pitch that was officially opened on the day by rugby idols Alex Goode (Saracens) and James Rodwell (England and GB Sevens). Goode and Rodwell – one of our most successful sporting alumni – stayed to watch as Berkhamsted won 30-0. Sports Open Day also gave the opportunity for prospective families to see Berkhamsted’s inter-house tournaments in action. It’s one of the most anticipated days in the School calendar. Year 7 and 8 boys participated in football while Year 7,8,9 and 10 girls participated in netball. The matches were played in great spirit with everyone wanting to contribute to the team to the best of their ability. 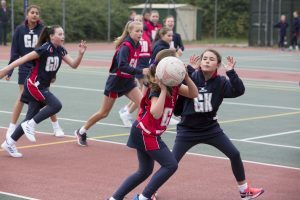 Director of Girls Sport Jo Vila said “Sports Open Day was an opportunity to showcase the excellent teamwork, leadership, sportsmanship and communication skills that are synonymous with Berkhamsted Sport. “We are proud of the girls for the performances that earned them two Lacrosse County Championship titles and one runner up place. Berkhamsted has a long-standing tradition of sporting excellence in Lacrosse and is renowned for its success over many years. Prospective pupils and parents can attend an Open Day to explore the School while meeting staff and current parents.